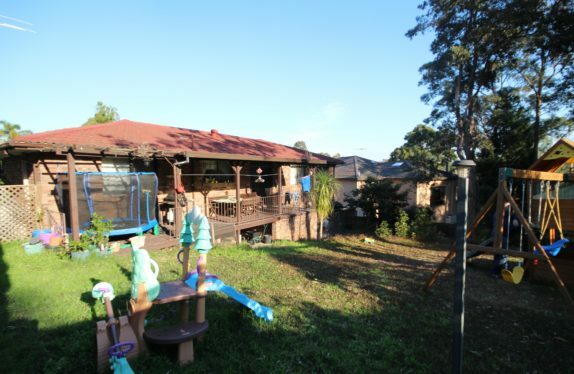 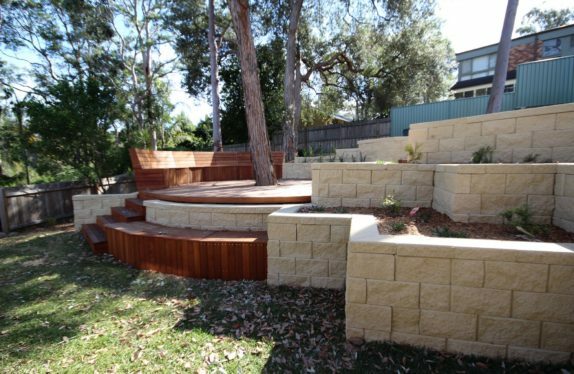 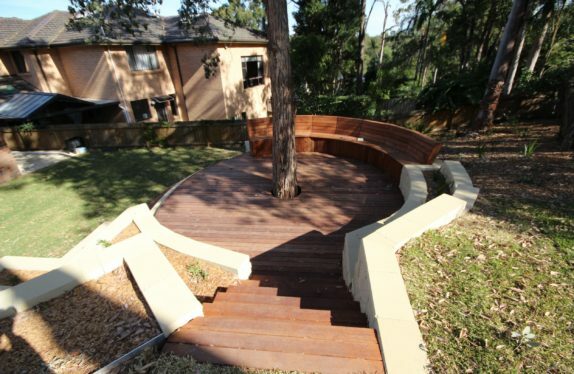 The clients contacted Earth Matters Consulting wanting a more usable backyard as it had a slope of 1: 6.5. 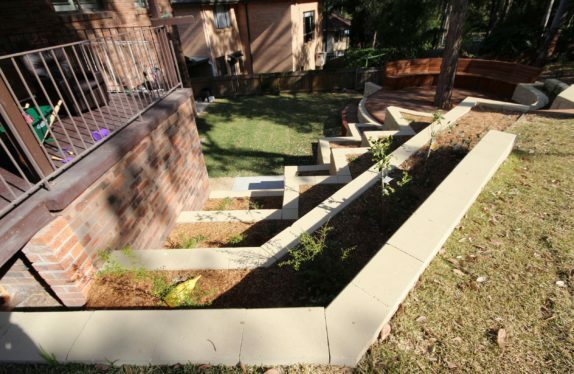 Steep indeed to effectively use the garden, especially with a need to locate kids’ play equipment. 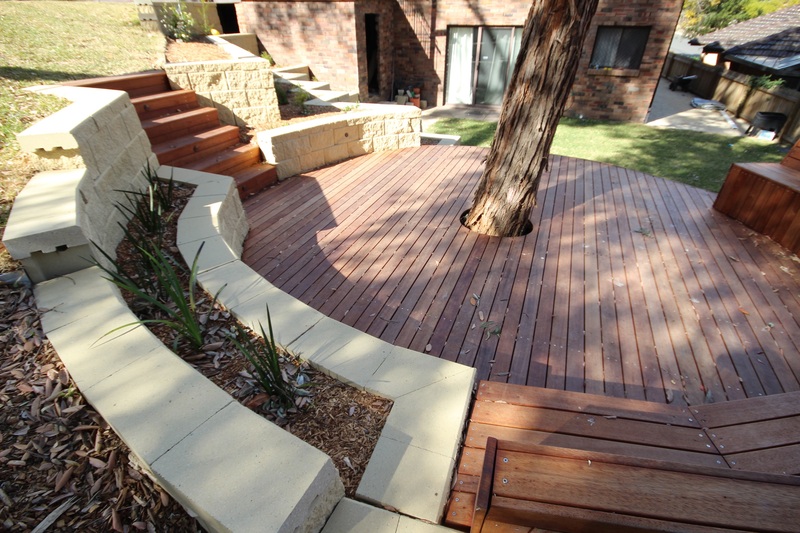 The design again used a ‘stepping lightly’ approach and we kept the break in the levels to low 500-600 mm differences. 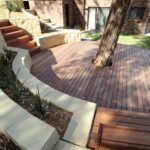 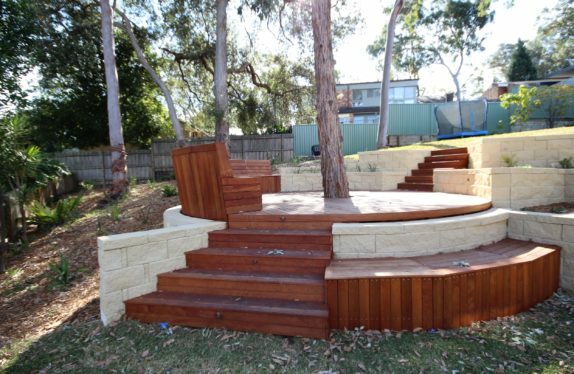 We made a deck around a Syncarpia glumulifera tree and used this as a hub to link the upper play area with the lower BBQ terrace.